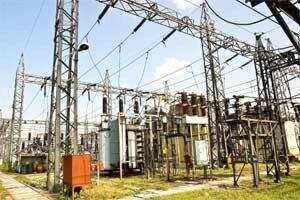 New Delhi: In an attempt to force loss-making state utilities to undertake long-pending reforms, Power Finance Corp. Ltd (PFC) and Rural Electrification Corp. Ltd (REC) have made short-term loans conditional on them meeting criteria which could make electricity more expensive for consumers. The lenders, controlled by the Union government, have introduced a new qualification system requiring the utilities to pledge their commitment to a preset reform agenda, including regular tariff increases, to be eligible for availing short-term loans. The first batch of states to accept these norms include Rajasthan, Punjab, Haryana, Uttar Pradesh and Delhi. Consumers in each of these states will, according to the commitment made by their utilities, have to brace for hikes in power tariffs, especially given the rising cost of fuel. “Whoever satisfies the conditionality...we will disburse the loans. The very fact that we have sanctioned the loans is a good indication of the utilities wanting to meet the additional conditions," said Satnam Singh, chairman and managing director of PFC. “If the nine additional conditions are not imposed within six months, they will not be able to avail further short-term lending. Everyone has got the message." “We’ve introduced the conditions for short-term loans. This is part of the reforms process," said Rajeev Sharma, chairman and managing director of REC. The Financial Express had first reported on 7 December about PFC and REC planning to resume short-term lending to electricity utilities. PFC has sanctioned loans worth ₹ 3,000 crore to the state utilities of Rajasthan, Punjab, Haryana, Uttar Pradesh and Delhi. Of this, it has already disbursed ₹ 650 crore. According to the contours of the new system introduced in December, a utility has to satisfy five conditions to be eligible for availing short-term loans. They are: filing of the previous year’s tariff order setting out the price of electricity, submission of next year’s tariff petition seeking regulatory approval to raise the price, full payment of the current year’s subsidy by the state government to the utility, availability of audited accounts not older than 18 months, and a state government loan guarantee. In addition, the utilities will have to satisfy nine conditions within six months of availing such loans, such as automatic pass-through of fuel surcharges to customers, clearance of the government department’s outstanding dues, adoption of model tariff regulation (for tariff increases) by state electricity regulatory commissions and submission of a plan to wipe out accumulated losses by 2017 and generation of a cash surplus within two years. The conditions also stipulate that state government loans to utilities should be converted into equity; it calls for the submission of a plan to clear all subsidy arrears by March 2013 with a quarterly break-up and requires them to invite bids to meet power demand in the 12th Plan period (2012-17). State utilities would be required to set up an integrated planning unit and ensure no revenue gap between the tariff order and regulatory assets unless justifiable. State electricity boards (SEBs) across India are saddled with losses because of power theft and technical losses during transmission and distribution, billing inefficiencies and, more importantly, often have to buy expensive power to tide over short-term deficits. Some SEBs have also failed to revise tariffs for many years, adding to the losses and are either not able to raise money or can do so only at high rates of interest. The conversion of loans by state governments to equity will ensure capital infusion and a boost in net worth. The political compulsion of providing free power to farmers has also had an impact on SEBs. As agricultural power supply is unmetered, many utilities write off all their losses from transmission and distribution as farm consumption. In addition, tariff revisions are inadequate as the average annual rate of increase of charges for consumers is less than the rate of increase in power purchase costs. The poor financial health is also on account of non-payment of subsidy amounts by state governments. India has 73 distribution utilities, which include private firms too. The tariff revisions that have been undertaken so far have been found to be inadequate to cover the costs of purchasing power. The failure of state governments to pay up promised subsidies has only led to a further accumulation of losses. The cumulative losses of the distribution utilities are around ₹ 75,000 crore, and if the present trend continues, projected losses in 2014-15 will be ₹ 1.16 trillion, according to a study conducted by energy consulting firm Mercados EMI Asia for the 13th Finance Commission. Consumers are worried about the impending tariff hikes. “We are slowly and steadily moving to a regime which leaves the consumers unprotected," said Sanjay Kaul, president of People’s Action, an advocacy group for the National Capital Region centred on Delhi. He is also head of an umbrella group of resident welfare associations.